Is your Goat Breeders India enterprise or farm listed here? If not then complete the form below and I will post all your goat farm details for free. Boer goats are now becoming a major industry in India and this website offers Indian goat breeders a chance to advertise any type of goats for free, and also to make contact with other breeders and extend their business reach and network. Osmanabadi Goat Farm. 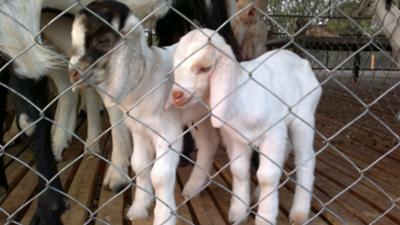 We provide you the pureline breeding osmanabadi goats at reasonable prices. These Osmanabadi goats are selected by the veterinary doctors, you will get the best of female goat s(does), which yields plenty of milk(1-2ltr per day) and kids (4-8 per yr). The best part of these Osmanabadi goats is that, they can accommodate easily in any part of the country, they are disease resistant so that they provide you huge profit in lesser time. They eats any farm fodder, vegetables, grass, pulp of pulses which are usually thrown by the farmers as waste part. Mortality rate of kids and does is negligible when they are vaccinated properly. 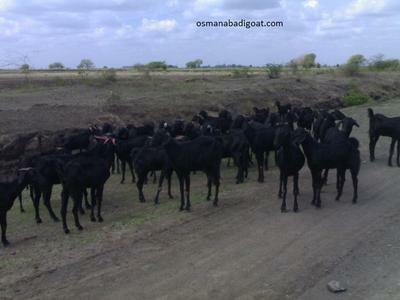 Start your goat farm business with these specially selected osmanabadi goats and earn handsome profit. This breed is considered useful both for meat and milk. All our goats are healthy and vaccinated which are certified by reputed veterinary doctors. Apex Farms We, at Apex Farms India are pleased to provide full service for sacrificial goats of major breeds. You may choose from pictures privided on our website (at Facebook: Apex Farms India) and transport them to your sacrificial site. Or we can arrange delivery to your address. For all our overseas buyers/sacrificers, we can also arrange to slaughter them for you at our site arrange distribution of meat to institutional charities, orphanages and similar charitable organisations. This service is especially for our overseas and outstation customers who may not have access to facilities for personally sacrificing/slaughtering the goats and reaching them to the poor and needy. Vijay Farms-Boer Goats - Tamilnadu We are the largest Pure Boer breeder in Tamilnadu. We also Breed Pure malabari goats. Breeds available for sale: Pure Boer, Boer cross, Malabari, Pure Malabari. Vijay Goat farms, Thirunandipuram village, Villupuram district. Tamilnadu. Alliance Agro Farms. Andhra Pradesh, India. United Goat Farm - Maharashtra. 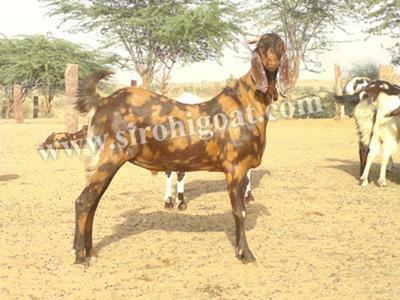 We provide all types of goat breeds including Boar, Sirohi, Jamunapari and Osmanabadi for meat and breeding. We are specialized in Osmanabadi breed and can provide goats for regular meet and Eid purpose. Please visit our website www.unitedgoatfarm.com or email us on contact@unitedgoatfarm.com, sales@unitedgoatfarm.com or unitedgoatfarm@gmail.com. Shine Farms We are showing our interested in working with you on your project, we can not only supply you Pure Line and certified quality of Osmanabadi Breeding goats which can be suitable for any type of Indian Climate but also we can act as your Design and Supervision Consultant and help you to Design a sustainable and economical shed, planting various type of fodder according to season, fodder Management, feed Management, People and Organization Management and availability of land in your area by coordinating with Local Real Estate Agents, giving you De worming and Vaccination Schedule, 24 x7 Service and many more service as agreed.